Yesterday took place a historic event as oil prices gained no less than $25 in a single day to settle finally at $120. Since my last post on this topic, oil prices neared $150 to go back to $90 last week. This important volatility makes it harder to rely on this energy source and shows all too clearly that it is high time for our civilization to switch to another energy source. Yesterday’s record can be explained by the increasing weakness of the US Dollar as well as other factors such as weaker supply from producing countries. 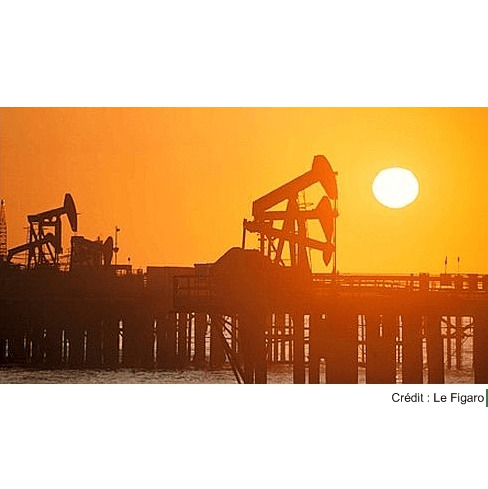 Crude oil prices on Monday jumped $25 a barrel – the largest one-day rise – as financial investors betting on falling oil prices were forced to cover their positions ahead of the expiry of the current benchmark futures contract. The jump to an intraday high of $130 a barrel – a rise of about $40 a barrel from last week’s low – was exacerbated by a weakening US dollar and data showing weaker supplies from Mexico, Nigeria and Saudi Arabia in recent weeks and surging imports by China. Investors who had bet that oil prices would continue falling were forced to close their positions ahead of Monday’s expiry of the October oil futures contract at the New York Mercantile Exchange, traders and analysts said. The process is known in the industry as short covering. After surging $25 to $130 a barrel, the October contract settled at $120.92 a barrel, up $16.37 on the day. The previous one-day record, was set last June, at $10.75 a barrel. The November futures contract, from Tuesday the benchmark, settled at $109.37 a barrel, up $6.62 a barrel on the day. The jump in oil prices led an across-the-board rise in commodities, with gold soaring above $900 a troy ounce. The rise was exacerbated by the weakness of the US dollar, that fell to a three-week low against the euro of $1.4817. The Reuters-Jefferies CRB index, a raw materials benchmark, surged 3.3 per cent on the day, extending a 10.2 per cent increase from last week’s low. In any case, be sure that I will keep you posted on oil prices. So for this and for much more, stay tuned ! > Daryl : I have no idea. Oil is behind more than a third of our energy needs, so I guess that changing that will take some time to change our energy system. The price inelasticity of this resource is quite important. ie, if oil prices jump by 10 percent, the demand doesn’t drop by 10 %, which would be normal.